UP to 100,000 people will make claims for compensation in the wake of the royal commission into institutionalised abuse, according to a leading lawyer. They are pinning their hopes on the commission recommending that a “redress fund” be set up, into which institutions at blame would pay commensurate sums of money. Lawyer Peter Kelso said the Catholic Church may be forced to sell some of its multi-million dollars worth of land and property holdings to pay its fair share of a fund. 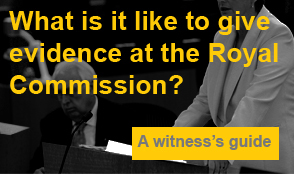 While the Royal Commission into Institutional Responses to Child Sexual Abuse will not be able to make awards of compensation, its terms of reference call on it to find ways so that victims can get redress from institutions. “The words ‘by institutions’ send the clear message that Australian taxpayers will not be paying a cent,” Mr Kelso said. To read Peter’s featured article in The Daily Telegraph, please click here.